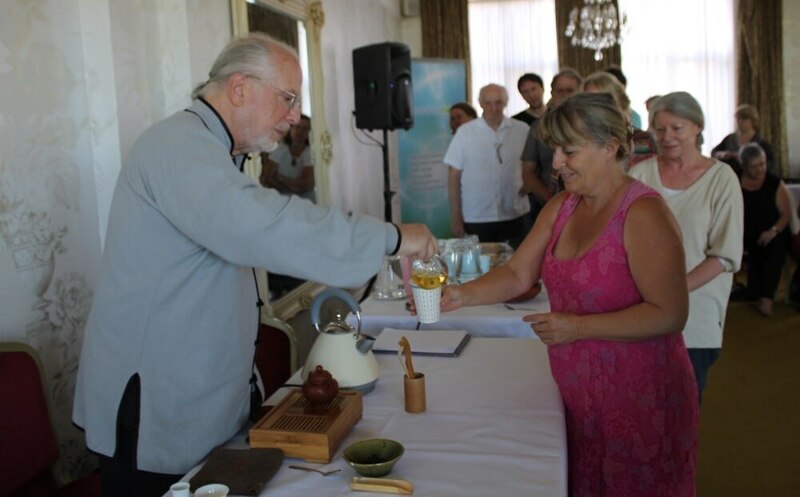 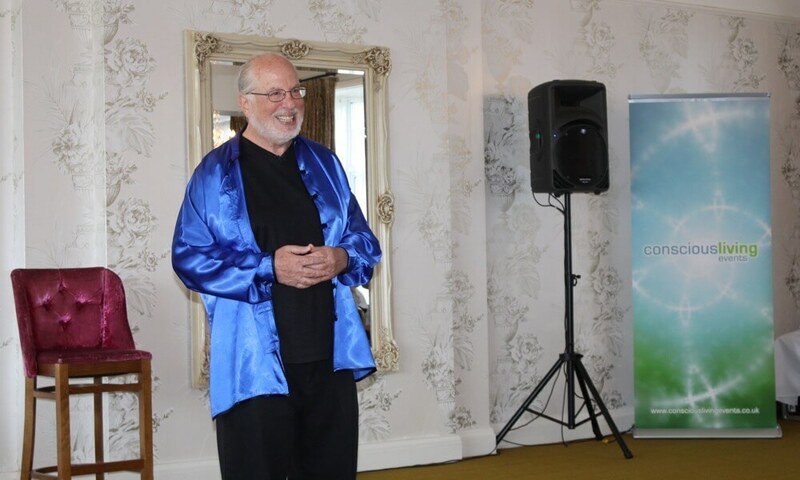 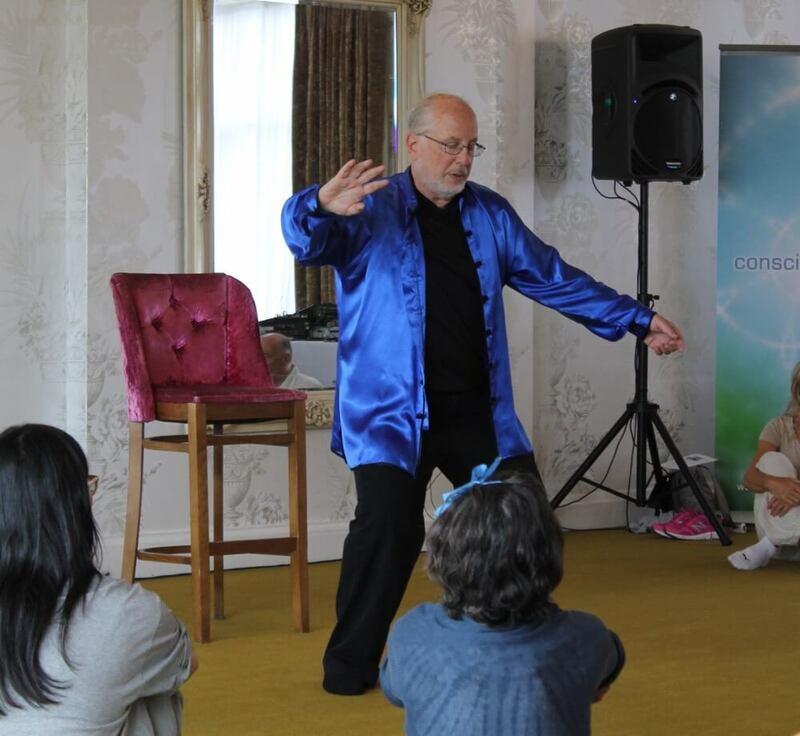 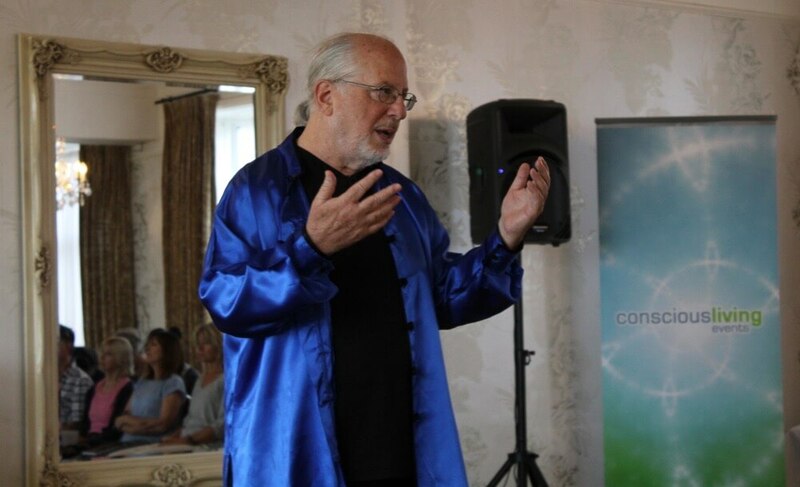 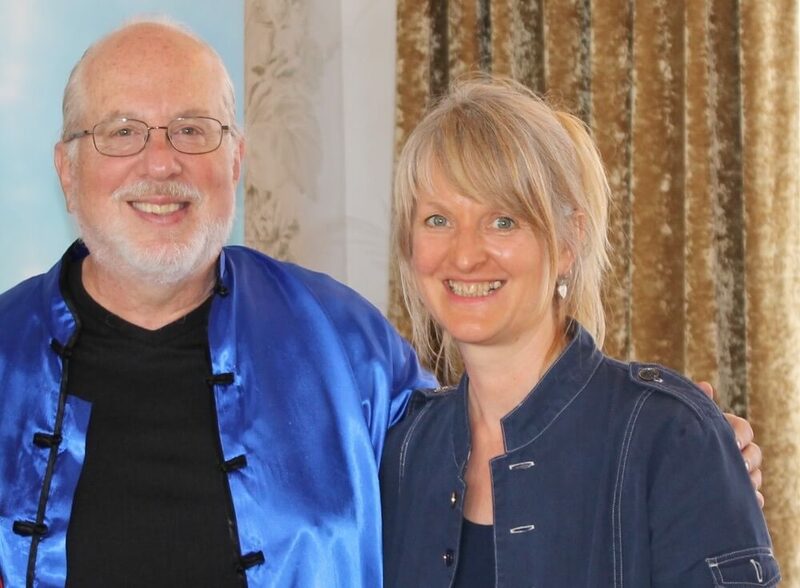 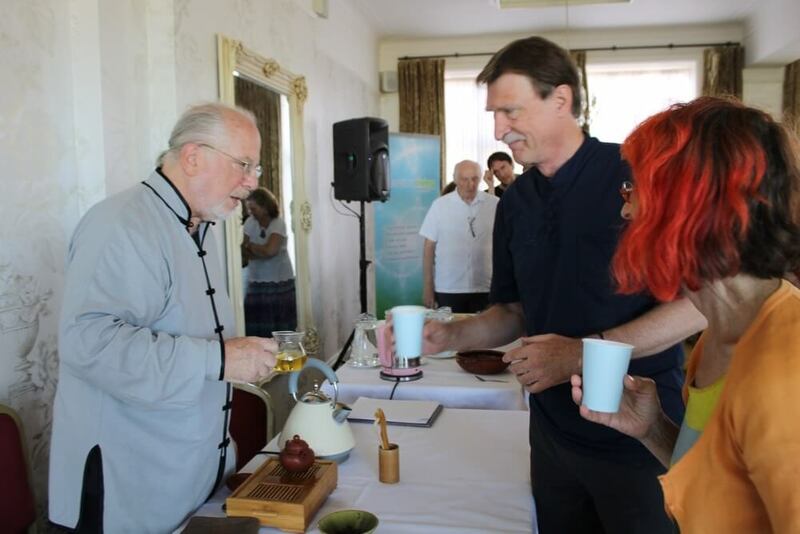 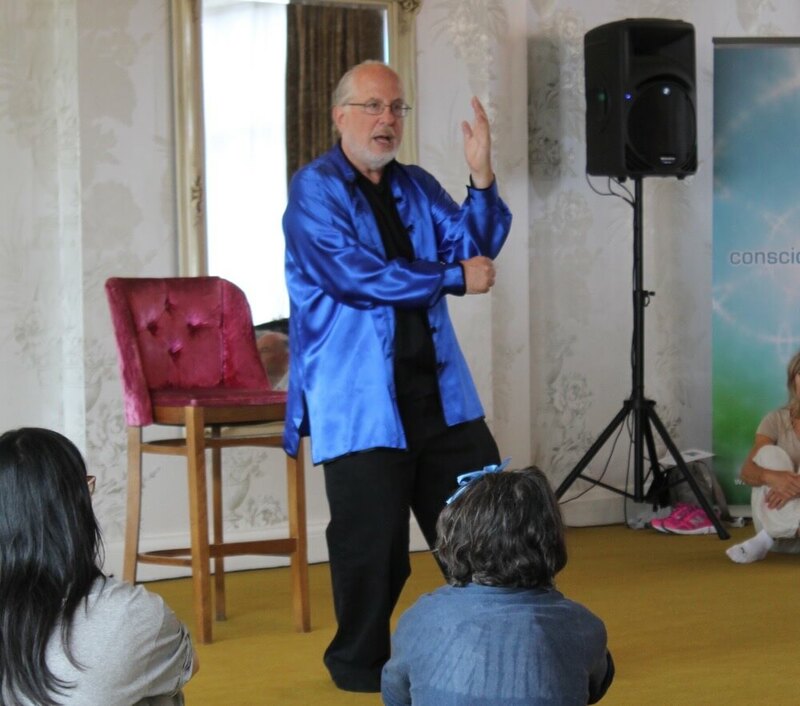 “My experience with Conscious Living was, as we say in Chinese, Zhen Bang, ‘Wonderful, Awesome!’ From my viewpoint, as someone who has taught workshops since the 1970s, I think that Conscious Living could be called Conscious and Compassionate Hosting. 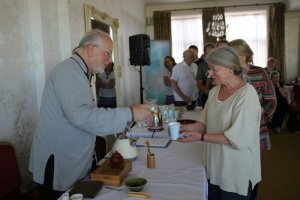 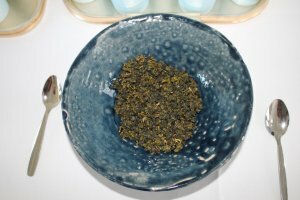 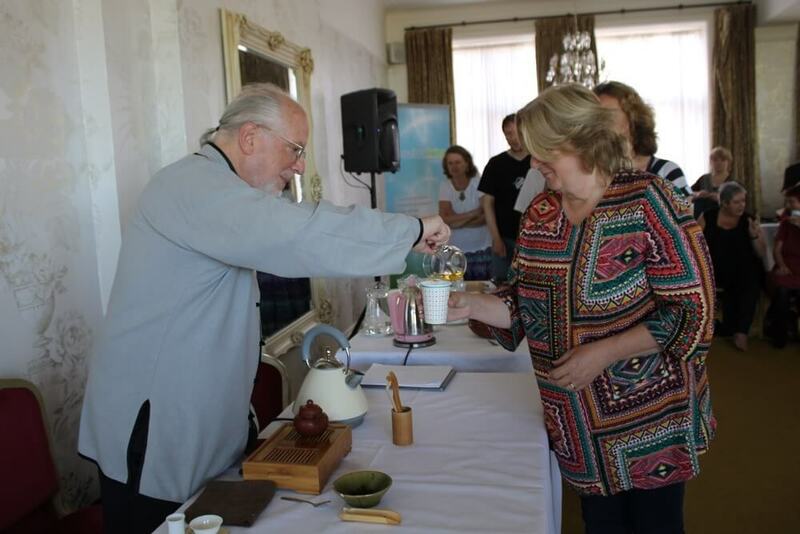 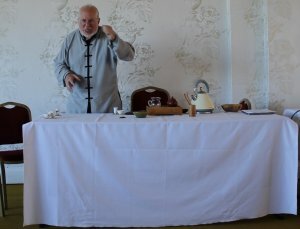 What a superb group of students, both for the Qigong workshop and Chinese tea presentation: attentive, dedicated, questioning, and enthusiastic. The venue was comfortable for all, with space for lecture, discussion, and movement. 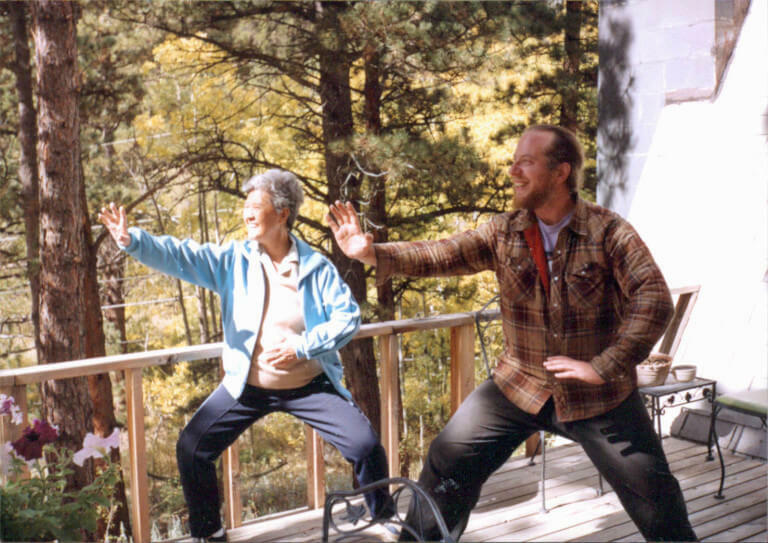 Master Kenneth Cohen – pictured here with his teacher, Madame Gao. 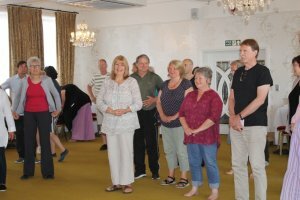 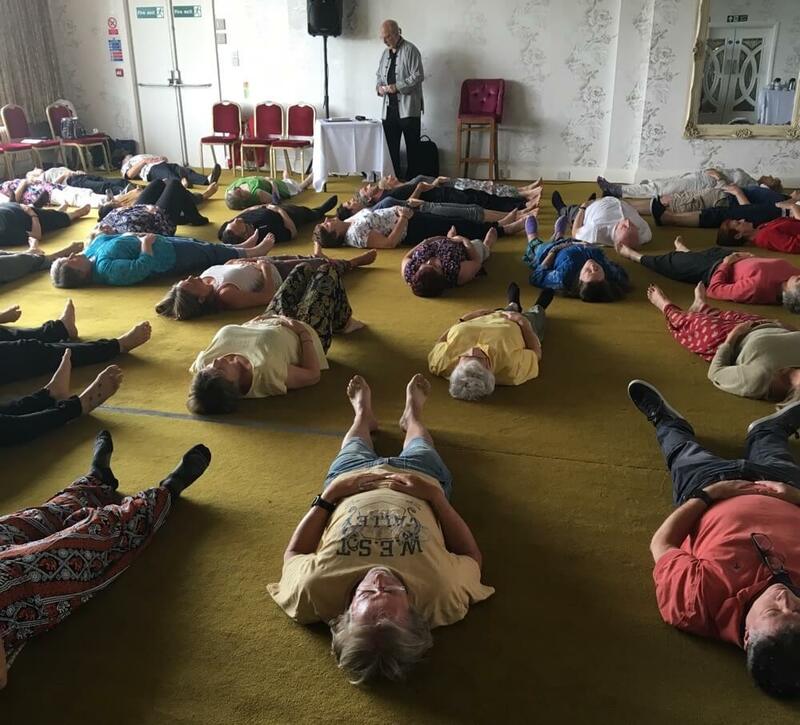 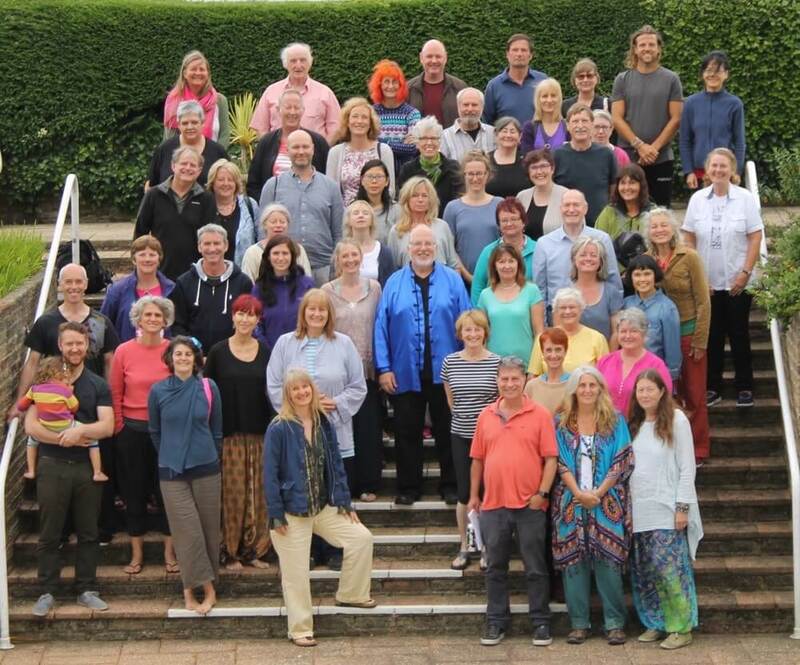 What a wonderful Primordial Qigong training this was, I am still integrating the depth of alignment created and am running the form daily to see if I can get to 100 days as Master Ken suggested. 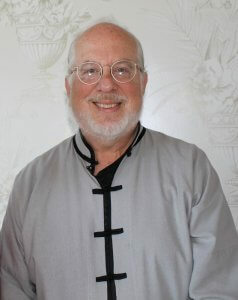 Running this form everyday since has given me an even steadier keel from which to sail my ship of life. 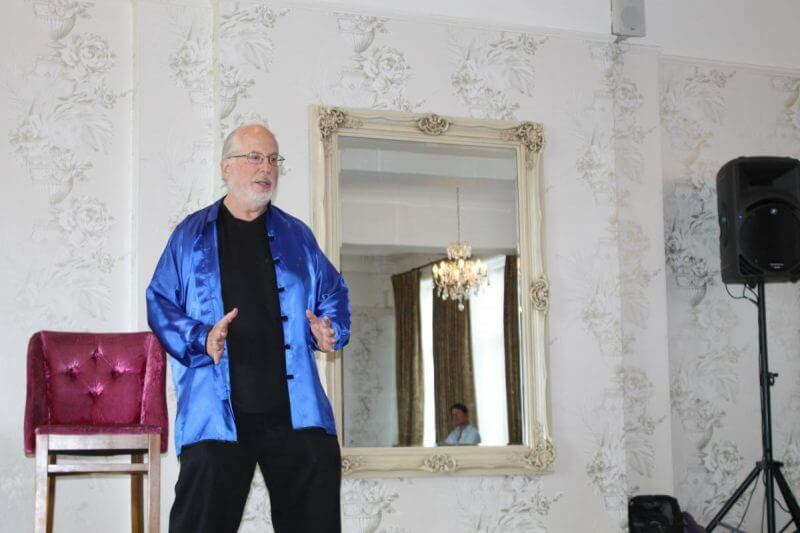 Often to a soundtrack of Hang Massive …perfect for chi-ing the gung. 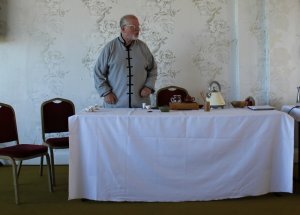 The whole weekend was an unfurling dream come true. I found stillness and resource in the strength and depth of running the form – and still do, on a morning mostly. If you were there, and thank you for that, I’d love it if you would drop me a line – one person reflected the Primordial Qigong training was “A jewel beyond measure” I concur, this form and the delivery of it into our lives was blessed by Master Ken, he instructed clearly, repeating enough and giving space for self practice with added storytelling. 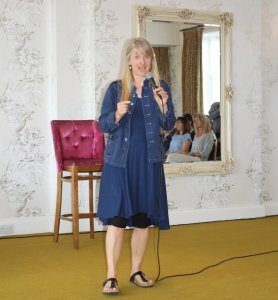 Now many of us are on the 100 day challenge, changing our lives for sure. 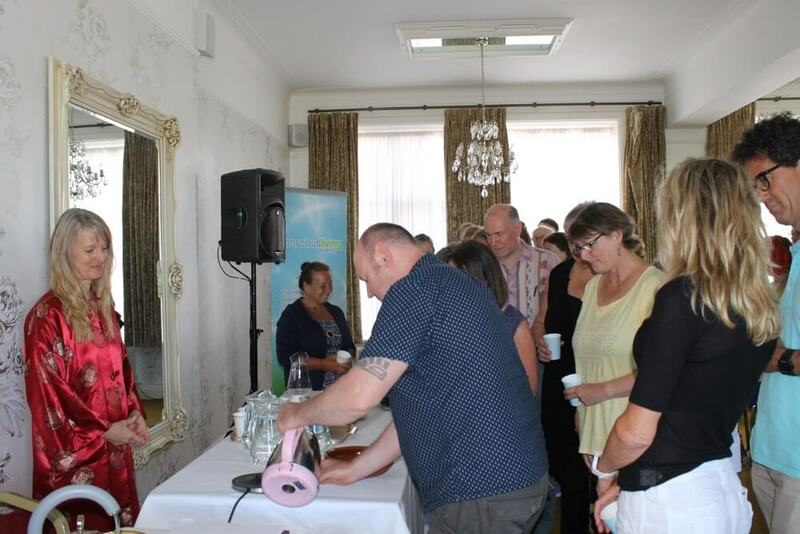 Massive thanks to our photographer for the event Corinne Jackson who stepped in when no one else was able – what an array of great shots, thank you so very much. Ken shares his thoughts on the effects of stress on physiology and spiritual health – and how Qigong is a natural antidote to this, plus the importance of leisure on our overall health and the problems associated with contemporary culture; electro-pollution as well as social media and asks how we can still truly connect with Earth and each other? 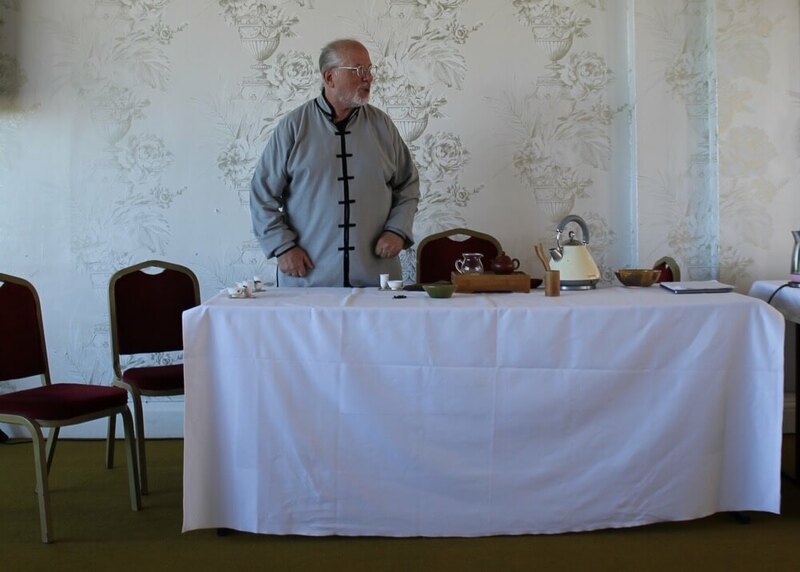 A fascinating conversation carrying on from the illuminating tales of the Dao he shared during the training and tea presentation. 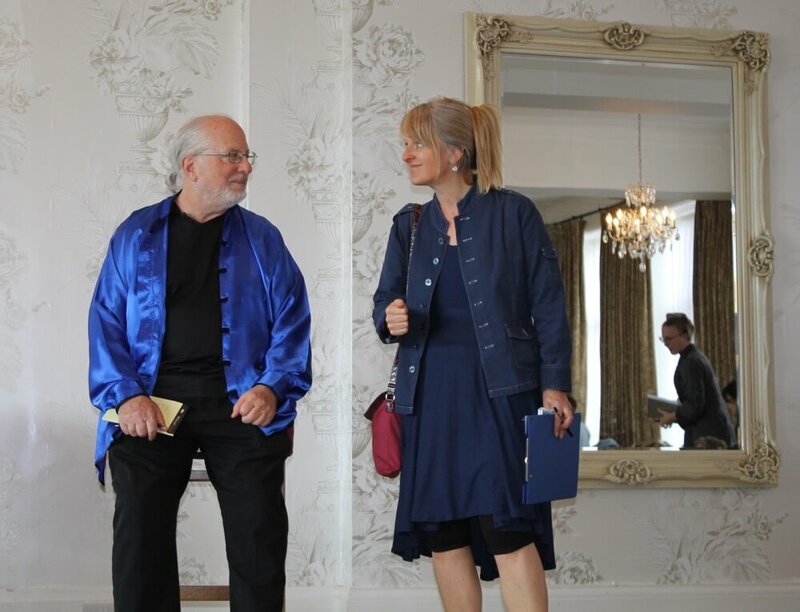 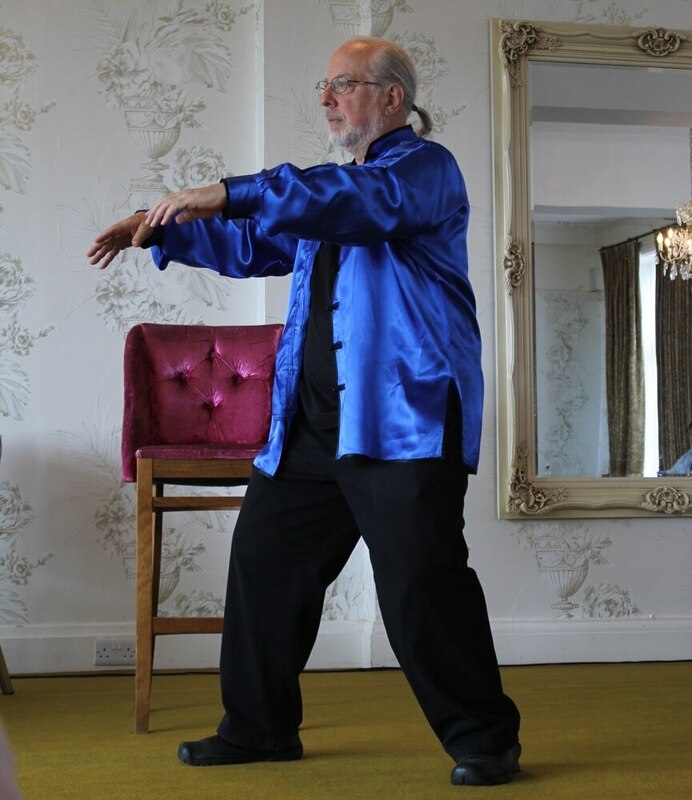 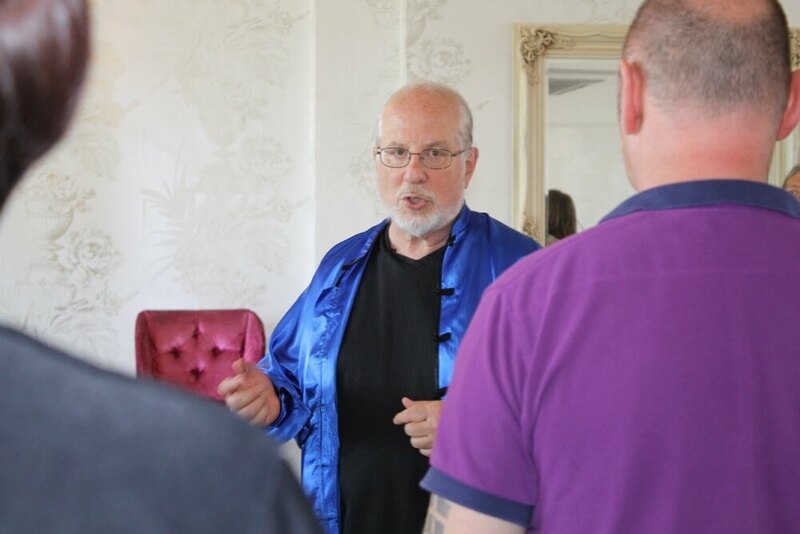 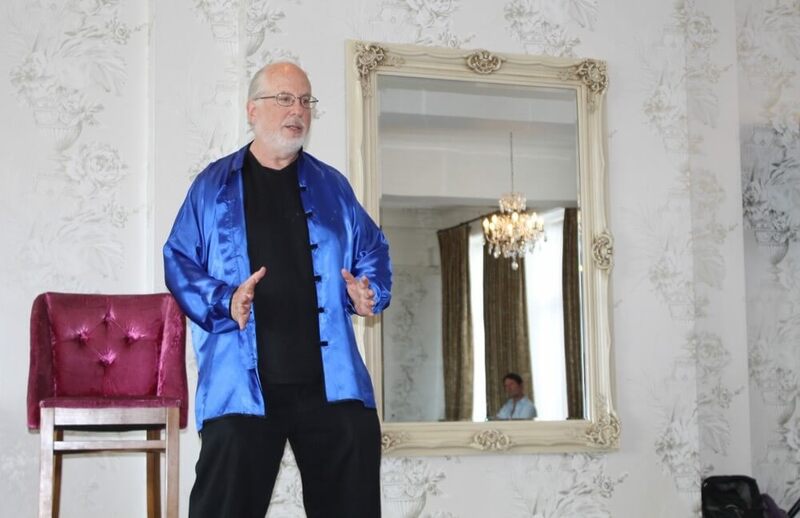 Ken talks to Clara on Chi Time TV, introducing the Primordial Qigong training and sharing some of his extensive knowledge on how Qigong is a key exercise for us in all walks of life AND a reflection on its long and varied history.